Both sides exercised restraint, at least for now. But lots of uncertainties lay ahead. Perhaps both China and the United States felt relieved after the conclusion of the Shangri-La Dialogue in Singapore as there was, a bit surprisingly, no highly emotional and angry exchange between defense officials from the two countries. Although the U.S. defense secretary, Ashton Carter, directly criticized China’s island reclamation projects, the tone was moderate and thus somewhat pleased the Chinese audience. China, likewise, hit back at the U.S. for disrupting peace and stability in the South China Sea, but the overall atmosphere was rational and under control. 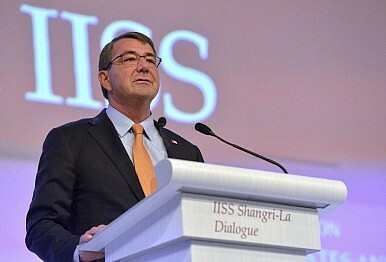 Given the high-profile incident of a U.S. P-8 surveillance plane flying over China’s artificial islands last week and Carter’s harsh remarks on China in Hawaii before the Shangri-La Dialogue, many expected a much more confrontational exchange between the U.S. and China at the Dialogue, but that didn’t happen. Why? There are three possible reasons to explain this situation of moderation between the U.S. and China. First and foremost, it should be kept in mind that the Shangri-La Dialogue, although important, is relatively minor compared to what is coming up in U.S.-China relations. The Strategic and Economic Dialogue (SED) will take place between China and the U.S. in late June, and most importantly, President Xi Jinping will visit the U.S. in September. For obvious reasons, both sides do not want to ruin the U.S.-China relationship, at least for the moment. Xi has made great efforts to establish a “new type of great power relations,” and Obama wants to achieve something before he moves out of the White House. Both leaders need a successful visit to boost their domestic standings. Second, from the U.S. perspective, almost everything that can be said and done at this moment has already been said and done. The U.S. demonstrated its strong resolve to defend its understanding of freedom of navigation by sending the P-8 to China’s islands. Carter has repeatedly criticized China for behaviors that are “out of step” with international norms. From a tactical point of view, what more could the U.S. do at this moment? Yes, theoretically the U.S. could have sent one of its naval ships into the 12 nautical mile zone of China’s artificial islands, but that move would have been too provocative and would have definitely invited a very strong response from the Chinese side. A clash of naval ships could happen. If that happens, the spiral of escalation cannot be easily stopped. Therefore, the smart move for the U.S. side is to wait and see. Presumably there is also an ongoing fierce debate within the U.S. government over what to do with China next. Too strong a move would instigate China’s strong retaliation, and too weak a move would, in theory, embolden China to be more assertive. But the delicate balance between too strong and too weak is hard to find. Hence, the U.S. response is stalemated. Third, it is also important for China to exercise restraint at this moment. Although there is no doubt that the South China Sea is part of China’s core interests and Beijing would do everything to defend its sovereignty there, now is not the best time to get into a serious conflict with the United States. Too many uncertainties remain ahead. As is well known already, China is now facing many pressing problems domestically, including a slowing economy, a stalled anti-corruption campaign, and so forth. As I have argued elsewhere, China’s overall approach to the South China Sea is still ‘reactive assertiveness,’ and this is very important for outsiders to understand China’s every move. What it means essentially is that China will not take the first move to change the status quo, but will respond strongly and even assertively if other players make a move. China does not want to create the image of being a big bully in the region. Thus we saw the Chinese government release a white paper on China’s military strategy for the first time, right before the Shangri-La Dialogue. The purpose was very clear: it was aimed at clarifying the misperceptions of China’s military strategy by increasing transparency. It has worked to some degree, as evidenced by moderate praise from the U.S. government. All in all, it is a good thing that China and the U.S. did not get into an ugly verbal fight at the Shangri-La Dialogue. This means there are still effective communication channels between the two powers. The important thing is to keep these channels open because otherwise extreme forces in both countries might win the debate and start adopting offensive measures against each other. Restraint — now more than ever — is the greatest virtue for policymakers in both countries.